Hey Karl, I've bypassed the neutral safety switch. 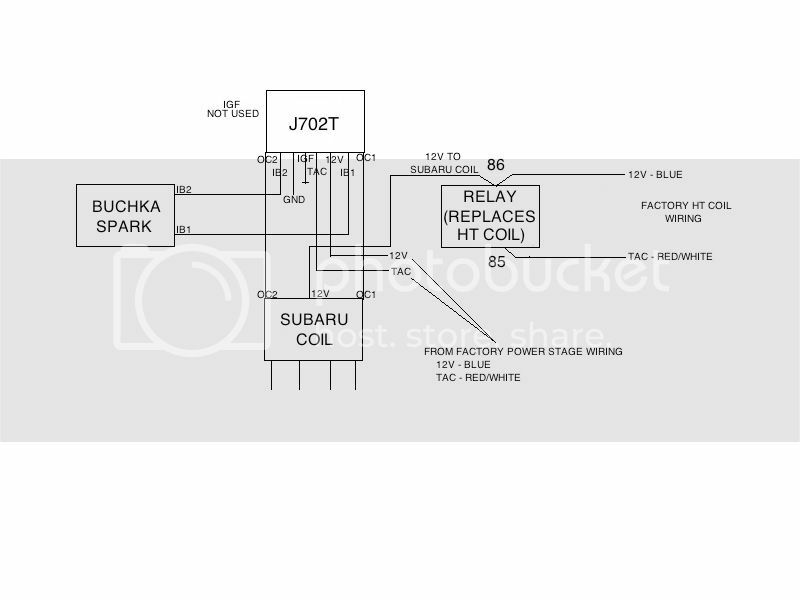 I have ran a wire from the TAC of the power stage to the relay coil that has replaced the ignition coil, and the other side of the relay I have the stock blue switched 12v and ran a cabel from there to the new coil. Is that correct? I don't follow your description. Can you draw it out? Sorry mate, that description was after a few beers This should be a bit clearer! I just put this "tach driver" together for a local guy with a spark board. 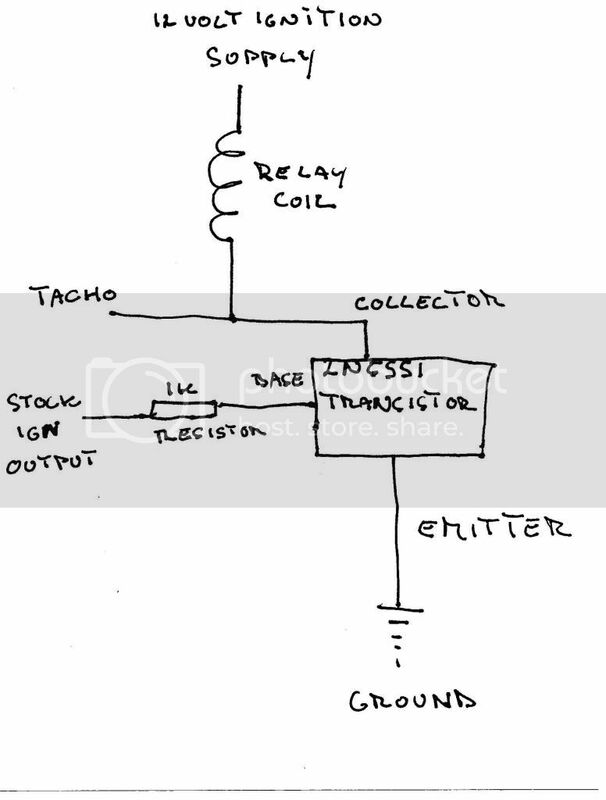 It's just a standard relay with the flapper and spring tossed out and a transistor/resistor stuck inside. Can you elaborate on this for the electronically challenged like me? Does it work like this? That's exactly how I did it. It's the same circuit that's listed on msextra.com. Hey Tried PM'ing, keeps giving an error code every time. I was wondering if my board got lost in the mail, i never got to lay my hands on it here @ napa. That's strange. Your board definitely got shipped with the others. If you can hang on until next week, I can ship you a replacement from the new batch. No problem at all, just fire away when they show up. the miata 1.6l coils from NA body miatas work perfectly, and should be cheap. they also plug into stock ignition wires. I'd use the ignitor off that too. it has a 4cyl tach output on it that plugs into the factory volvo tach and works. Haveing some problems. Please help me out here. Will the J702t ignitor work with a bosch .....407 coil? Where is your ground connection? Last edited by Fivehundred; 07-07-2013 at 06:46 PM.. I salvaged the plastic part of the Bosch connector from a scrap loom. The metal spade connector inserts are readily available. I can get you a 3 pin connector and some new terminals for the Bosch coil (I could also get the 7 pin one for a Bosch power stage) but I don't have access to MX5 bits. Last edited by Jon P.; 09-19-2013 at 01:49 PM..
still looking for the bosch 2x2 motorsport coil connector and the mazda miata ignitionmodule connector. Hi, just found the connector and wires for the Bosch 2x2 motorsport coil. 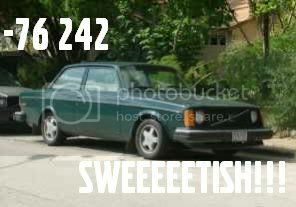 can be found in your local volvodealer. or ordered there not expencive either! Tried to figure out the places to weld the wires on the board, as my board don't have the markings on it. can anybody confirm that i have got everything correct here? if so. wohoo... and if correct and anybody else thinks this is helpfull, please say so and if anybody need the diagram in full size 1900x1438 pixels please pm\email it and i will gladly share it. the wire thickness and colour matching the Miata/ MX5 ignition module writen down also on the picture along with some other usefull stuff for my own use also. thought this could be a good way to visualize it better for my self in the first place. if it is all correct that is? BTW: should the Bosch 2x2 coil be grounded in some way??? 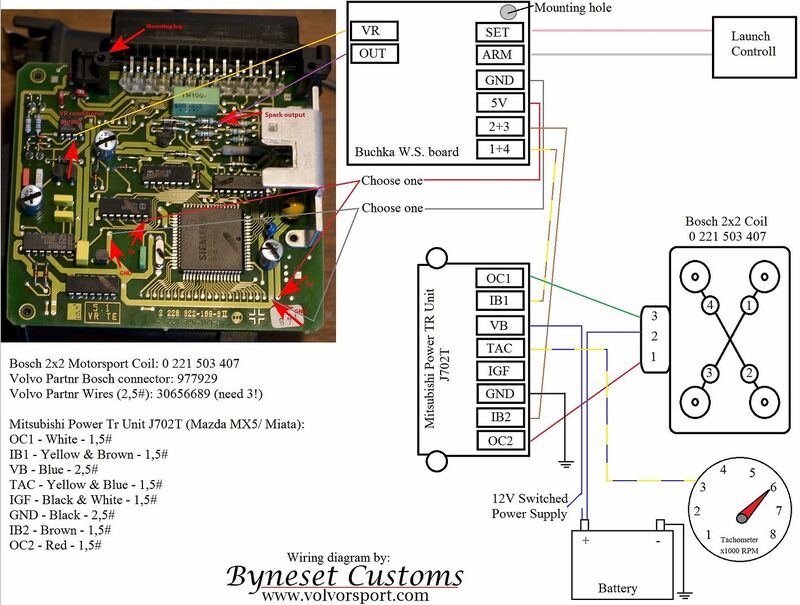 and constant 12V or 12V switched? The Bosch coil gets switched 12V. The other two pins handle the return current through the primary windings, so no need for extra ground wires.